Matthew Russell SJ: priest, editor, poet. 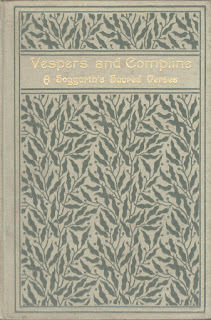 The image below shows the front cover of the poetry collection Vespers and Compline : a Soggarth’s Sacred Verses. It was published in 1900 by Burns & Oates in London. 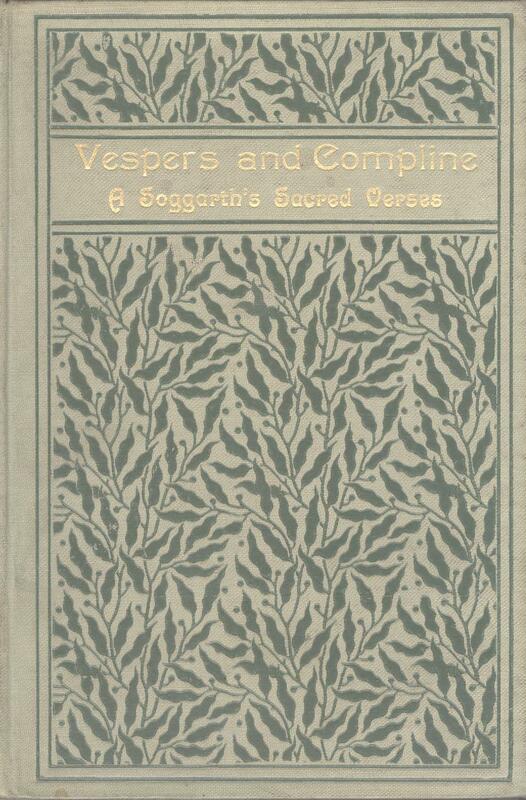 “Soggarth” was a variant spelling of “sagart” , the Irish word for priest. The priest in question was Matthew Russell SJ, poet, pastor, and editor of the Irish Monthly from 1873 to his death in 1912. The book is one of five collections of poems and prayers composed by Fr Russell which we hold in the library. In the metres and rhyme of his devotional verse, Fr Russell was able to capture his own faith, address that of his readers, and express his sense of Jesuit culture. I’ll give two examples. The first comes from the book Madonna: Verses on Our Lady and the Saints, and is a poem called “Memorare”. Here the poet offers a new translation of the traditional Marian prayer as his first verse, and then adds two further verses of his own. He engages with his readers not only in the poem, but by means of a footnote. He is concerned that readers might not know by heart the original “Memorare”, so in the footnote he prints the Latin version and an English translation then in use. It is against this background that his readers could experience the new poem, and its sentiments of personal Marian devotion. Was my first of books galore. was my home at 55. Fr Matthew died while spending a second period attached to St Francis Xavier Church (1903 - 1912). His reputation rests largely on his influence and achievements as editor of The Irish Monthly, in which he published numerous contemporary novelists, poets and essayists including Oscar Wilde, Aubrey de Vere, Rosa Mulholland and Hilaire Belloc. But it satisfied him also to find a readership for his own literary efforts: the verses and prayers which he had penned, “accidentally” as he said, during his life as a Jesuit priest. One of his readers was Fr Stephen Brown, our founder, who in an account of his own spiritual reading published in The Irish Rosary in 1946, referred to Fr Matthew as “a writer who helped me greatly in early days”. Eighty years ago, on 1st July 1937, Bunracht na hÉireann was enacted by the Irish people. In the following year, under this new constitution, Douglas Hyde was elected unopposed as the first president of Ireland. The Central Catholic Library holds a rich collection of works by Hyde, reflecting the importance he had for the founder Stephen Brown. Brown belonged to the first generation that benefited fully from Hyde’s pioneering work on Irish language and literature. Linguist, poet, translator and scholar, Hyde restored to national memory the annals, romances, folktales and mythological cycles lost because of the historical circumstances which had effected Irish language and culture .Stephen Brown collected for the library Hyde’s poems in both English and Irish. He also acquired works such as Hyde’s Study of Early Gaelic Literature, published in London in 1894 by T. Fisher Unwin (who would be the future publishers of Tolkien). As well as writing in Irish, Hyde translated into English tales such as the “Three Sorrows, or Pities, of Irish storytelling”. 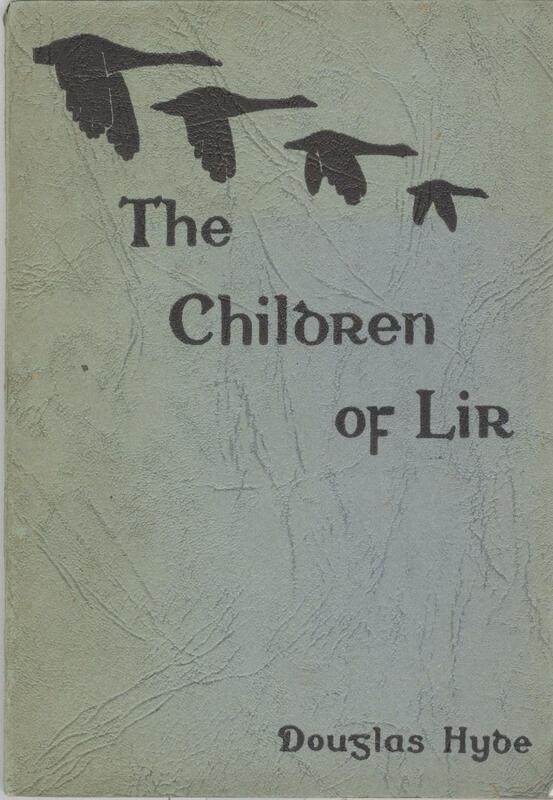 These three Gaelic tragedies comprise Déirdre, (based on love), the Children of Lir, (based on jealousy), and the Children of Tuireann, (based on murder). Hyde's translation was published in one volume in 1895 (again by T. Fisher Unwin). However the stories were reprinted by Dublin’s Talbot Press in three individual volumes, (1939, 1940 and 1941), following Hyde’s election to the presidency. Our copies of these three translations are each inscribed in Irish by Hyde. The passage below comes from Hyde’s translation of The Children of Lir. It captures the moment when the four children of King Lir are transformed into swans by their jealous stepmother, Queen Aoife. Earlier in 2015 Pope Francis issued his encyclical Laudato Si. This papal study of environmental issues precedes the 2015 UN Climate Change conference, which is due to take place in Paris from 30th November to 11th December. To mark these events, we have invited Fr Sean McDonagh SSC to give the second lecture in our autumn series. Sean McDonagh is an Irish Columban Father who has earned an international reputation as an eco-theologian. He has worked tirelessly to raise awareness of the links between the values of justice and peace, environmental sustainability and faith. In his books and lectures, he has voiced his deep concern about a number of ecological issues, including access to clean water and an adequate diet in the developing world, nuclear power, genetic engineering, loss of biodiversity and the extinction of species. His published work includes Patenting Life? Stop! Is corporate greed forcing us to eat genetically engineered food? (2003), The Death of Life: the horror of extinction (2004), Climate Change: the challenge to all of us (2006), and Fukushima: the death knell for nuclear energy? (2012). Fr Sean is also patron of Christian Ecology Link and writes a weekly column in Catholic broadsheet The Universe. The lecture takes place at 6.30pm on Tuesday 3rd November and all are welcome. The Church of St Kevin in Dublin's Harrington Street marks its 150th anniversary this year. For the first lecture in our autumn series, we have invited author Adrian Kenny to talk about this church and the ancient Dublin parish which surrounds it. Adrian has researched and published a history of St Kevin's. He is a member of Aosdána, and his previous books include both fiction and autobiography, ranging from the novel The Feast of Michaelmas and the memoir Istanbul Diary to the short story collection Portobello Notebook. Adrian has also translated and edited for Raven Arts Press Eachtra Tomás MacCasaide, a text preserved in an 18th-century Irish manuscript. Adrian's lecture takes place at 6.30 pm in the library on Tuesday 13th October. All are welcome. The closing lecture in our spring series will be given by Dr Eamon Maher, who is lecturer in French and director of the National Centre for Franco-Irish Studies at the Institute of Technology Tallaght. The dominant focus of Eamon Maher’s work is the cultural, literary and historic links between France and Ireland. In connecting the two countries, and setting their literary art in parallel, he has richly illuminated our understanding of their shared artistic and religious concerns. Just two examples: in his early publications on French priest and writer Jean Sulivan (1913-1980), he identified a parallel between the rural Brittany of Sulivan’s roots, and the Ireland of the 1950’s. In later work on John McGahern, Maher explored the profound influence of 19th century French novelist Flaubert on the Leitrim writer. Eamon Maher’s own books include his translation of Jean Sulivan’s memoir, Anticipate Every Goodbye (Veritas, 2000) and The Church and its Spire: John McGahern and the Catholic Question (Columba Press, 2011). He has also edited or co-edited over twenty monographs, and publishes widely in newspapers and periodicals such as The Irish Times, Doctrine and Life, The Month and Études Irlandaises. In 2013, he broadcast five short presentations on Jean Sulivan for RTE Radio as part of the Living Word series. His guiding interest in the influence of faith on 20th century literary culture is evident in work such as his 2014 article exploring Catholic sensibility in the early novels of Edna O’Brien. He is currently contributing a series of articles on depictions of priests in fiction to the journal Spirituality. He will draw on this research for his talk in the Central Catholic Library. Entitled "Life in a Roman Collar: some clerical figures in modern fiction", the talk begins at 6.30pm on Tuesday 28th April, and all are welcome. 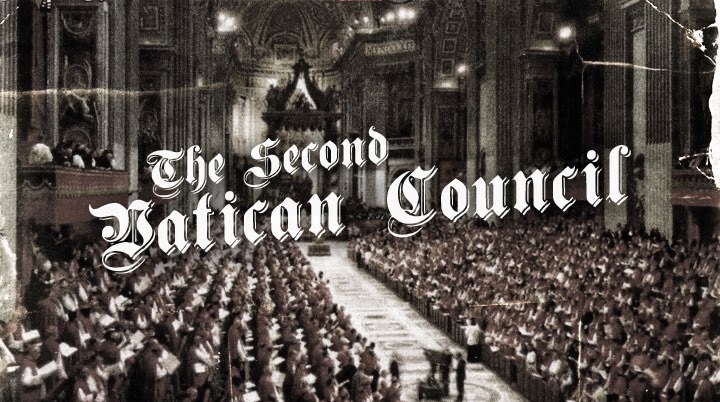 The second lecture in our spring series will be given by Fr Gerry O’Hanlon, whose topic will be the legacy of the Second Vatican Council. December of this year marks the fiftieth anniversary of the closing of the council. Fr O’Hanlon is a Jesuit priest and theologian who works at the Jesuit Centre for Faith and Justice in Dublin. Previously he was Dean of Theology and Vice-Chancellor of the Milltown Institute of Theology and Philosophy. His books include Theology in the Irish Public Square (2010) and A New Vision for the Catholic Church: a view from Ireland (2011). 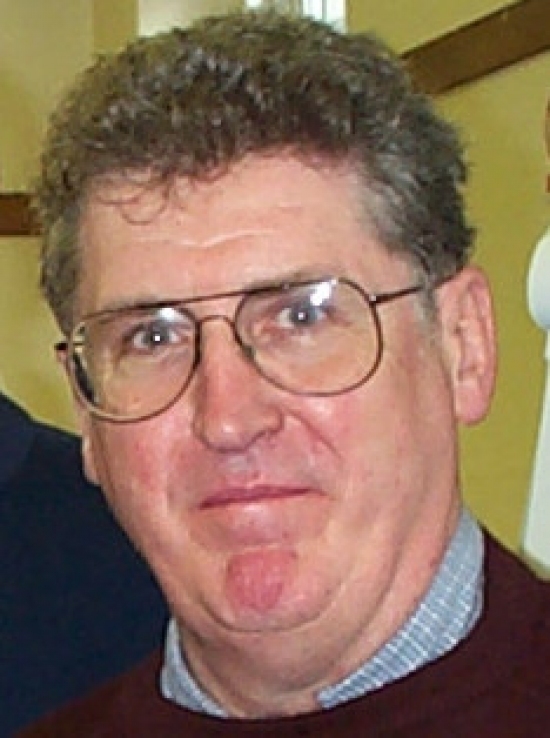 Fr O’Hanlon has also published many articles in journals such as The Furrow and Doctrine and Life. 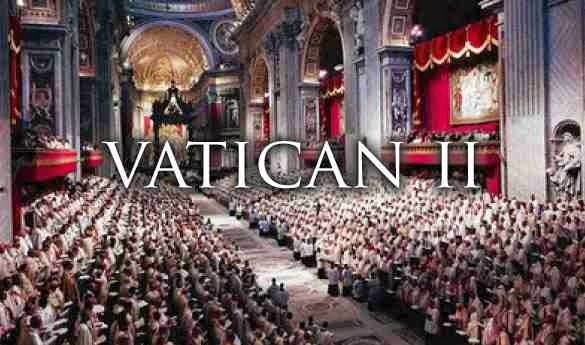 These include the article “Contested Legacies” on the contribution of the recently canonised John XXIII and John Paul II to church reform and renewal (The Furrow, July-August 2014). All are welcome to Fr O’Hanlon’s lecture, which takes place in the library at 6.30pm on Tuesday 31st March.